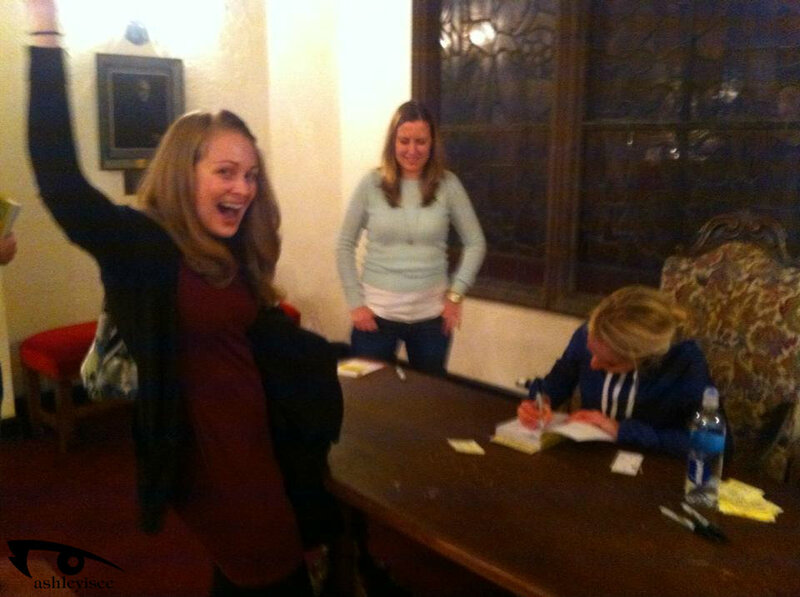 November is going to be one fantastic month for book signings! 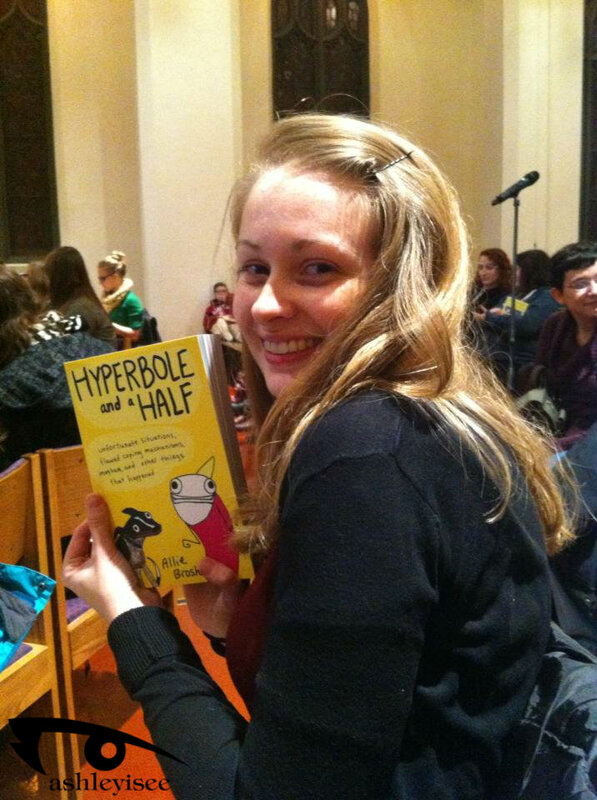 There is a little home for one of the funniest, wittiest and extremely talented blogs on the Internet: Hyperbole and a Half. If you’ve never read it, DO SO IMMEDIATELY! Anyways, the amazing author/creator/illustrator Allie Brosh has complied some old and new web comics into a fantastic book! 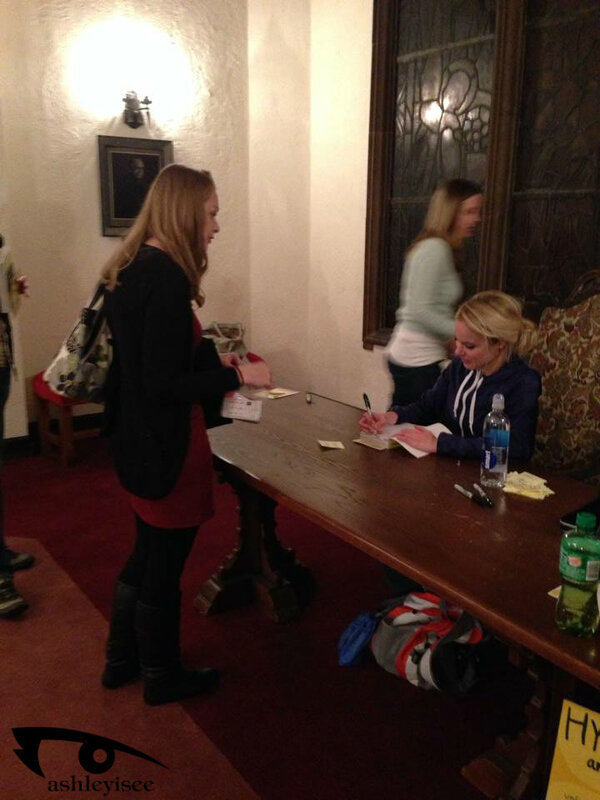 My friend K and I were lucky enough to snag tickets to the reading and boy howdy I made sure we got there early! The event was put on my University Bookstore and they sectioned groups of people into signing groups according to letter. 30 people were in each group. K and I were in group B, SO WORTH the wait! They ended up going to P there were so many people! 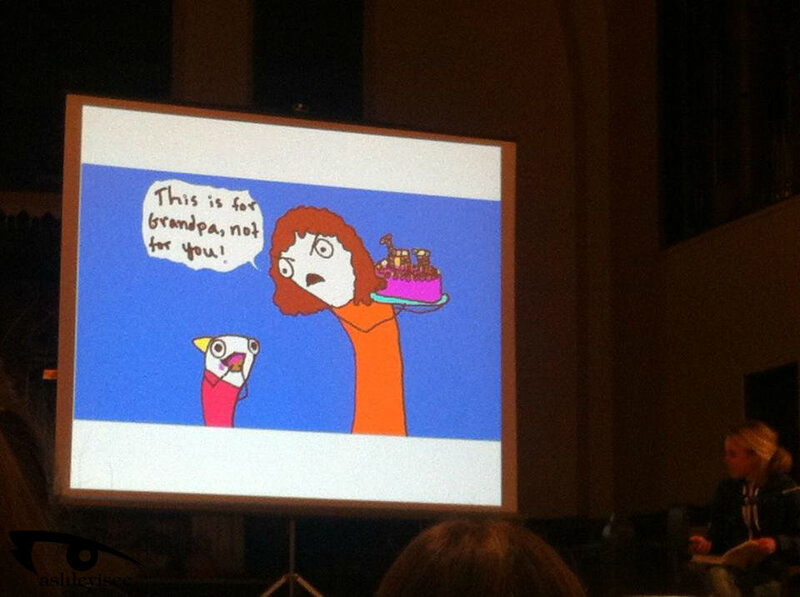 After being introduced, Allie came up and read one of her comics with a presentation. For us she did ‘God of Cake’. Hilarious! 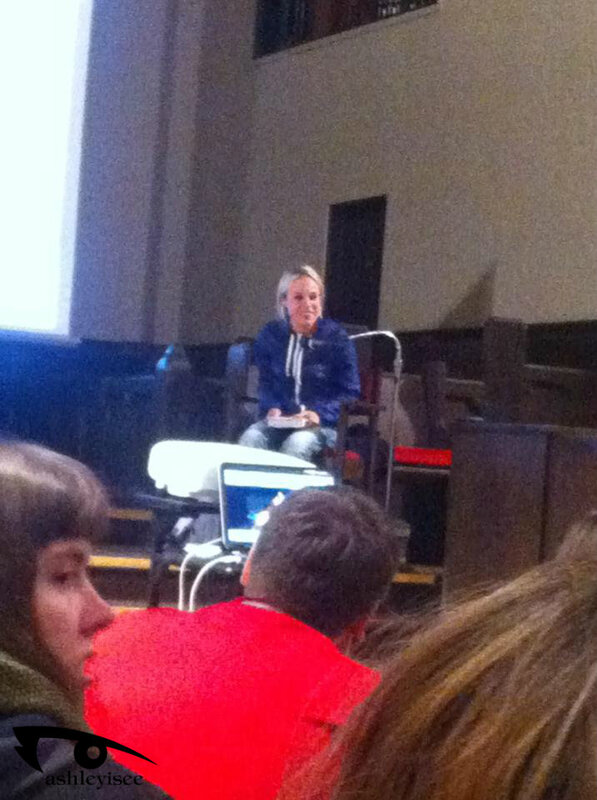 After, it was time for Q and A. Some questions were moving, others were funny and some, well, there’s a reason it was only 30 minutes. Then we played the waiting game. University Bookstore staff handed out blank pieces of paper for us to draw pictures for Allie. K did a ‘Not so scary dragon’. I folded mine into a thank you card with a Space Needle that looked like a Christmas tree. We truly didn’t wait too long, and it was such a fantastic experience. K went first. 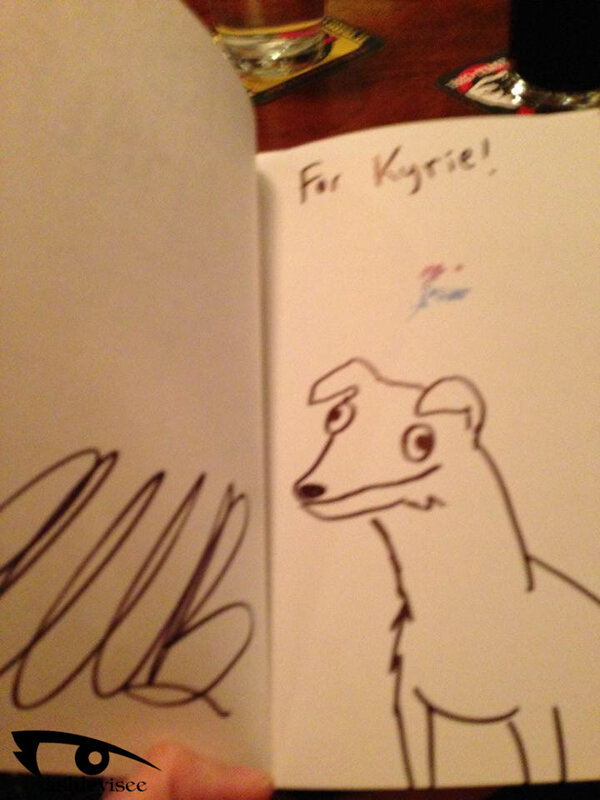 She had Allie sign one for her with a doodle of her dog Jude. She hugged people! SOOOOOOOOO COOOOOL!!!!!!! Then came my turn. I was a bit excited. 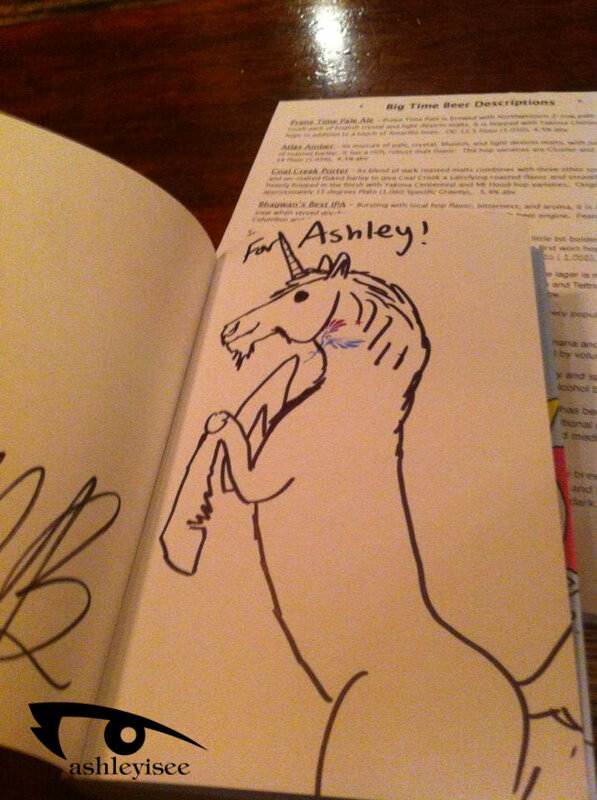 AND SHE DREW ME A UNICORN!!!!!!!!! Please support your local bookstore so authors can do such fun and spectacular events like this! 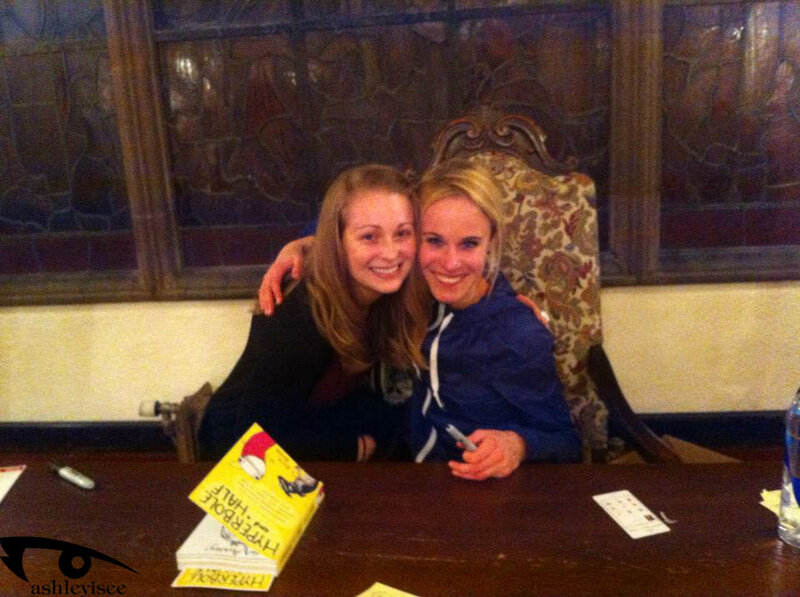 It was such a fun, light-hearted and engaging evening! 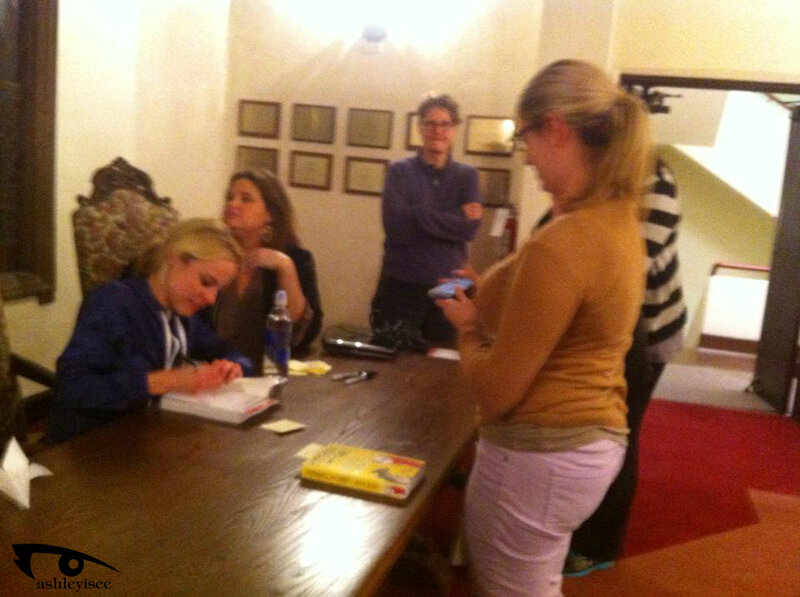 Thanks so much to University Bookstore, Allie Brosh and my friend K for joining me for the event!